Rising Rebels Exclusive to Comic Book World! This Week’s Magic: the Gathering Tournament Schedule: Thursday Night starting at 6:30pm is a Modern Format Tournament. Friday Night Magic starts at 6:30pm and is a Booster Draft featuring 1 Return to Ravnica, 1 Gatecrash, & 1 Dragon’s Maze Booster. 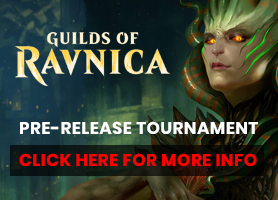 Sunday starting at 12:30pm is another Modern Format Tournament. Rivals of Ixalan Releases Friday!